The overall image is 30” x 36”, features the Justice League logo from the upcoming film, and was my official entry in the #jlfanartcontest. 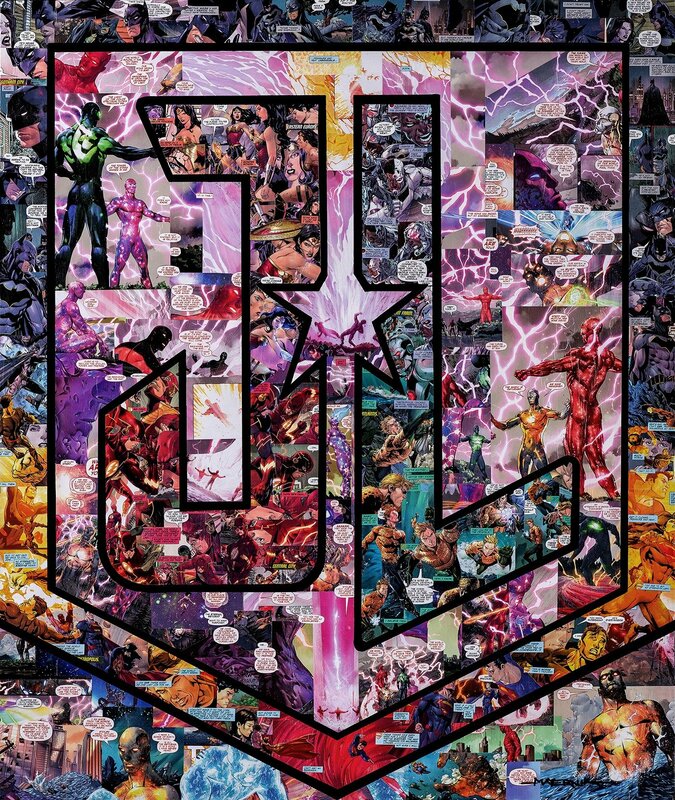 The Hero Collage image is comprised of the The Extinction Machines storyline from Justice League Rebirth comics, #1-5, and features the core Justice League heroes Batman, Superman, Wonder Woman, Cyborg, Flash, and Aquaman (sorry Green Lantern you had to be left out, your not in the film marketing) The villain is The Kindred, a big alien threat that attempts to take over humanity. No other comics or storylines were used. “Justice” also includes a custom black gallery frame that increases the overall dimension to 34”x 40”. 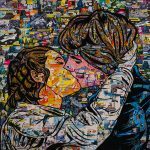 Original artwork is 48” x 48” Comic, Mod Podge on Plywood. Please inquire if interested in purchasing this artwork. SKU: HERO-JSTL. Category: Originals. Tags: Comic, Comic Book Art, dccomics, Hero Collage, justiceleague, Limited Edition, Pop Art, Poster.